An ideal replacement for any ageing cookware, this Beldray frying pan has a superb non-stick coating to make cooking simple. 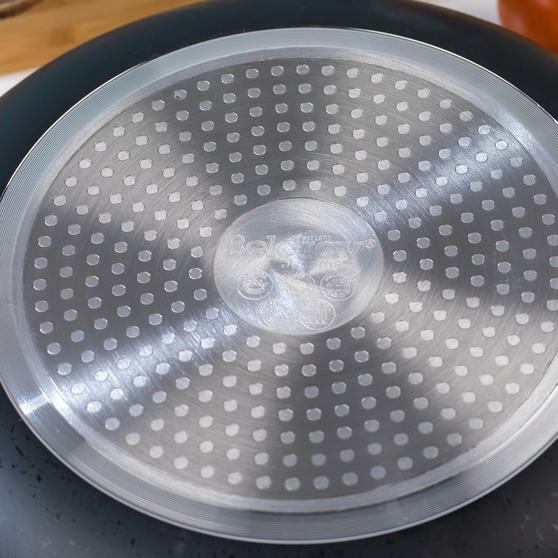 Measuring 28 cm the pan is made from durable aluminium with a ceramic coating which is suitable for any hob type including induction. 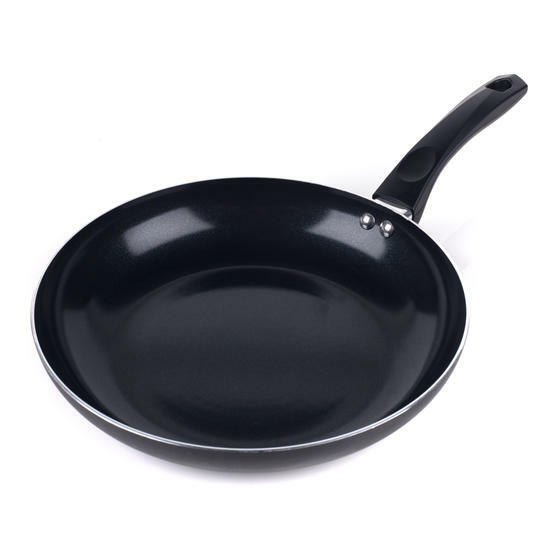 The large fry pan is lightweight and has a soft grip handle so you can comfortably manoeuvre it around the kitchen. Due to the superb non-stick coating you can cook with little or no oil for healthier meals that taste great. 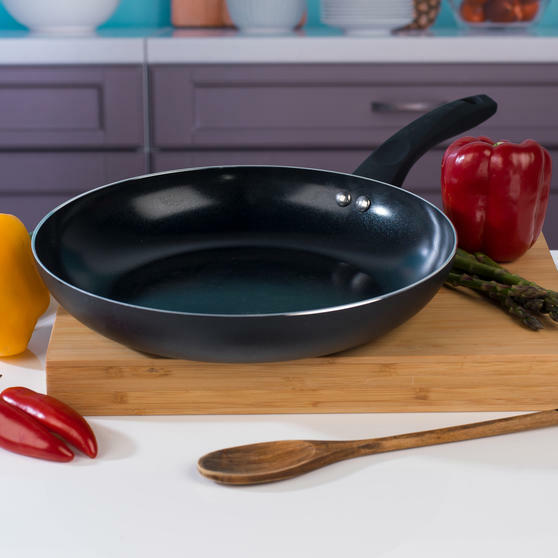 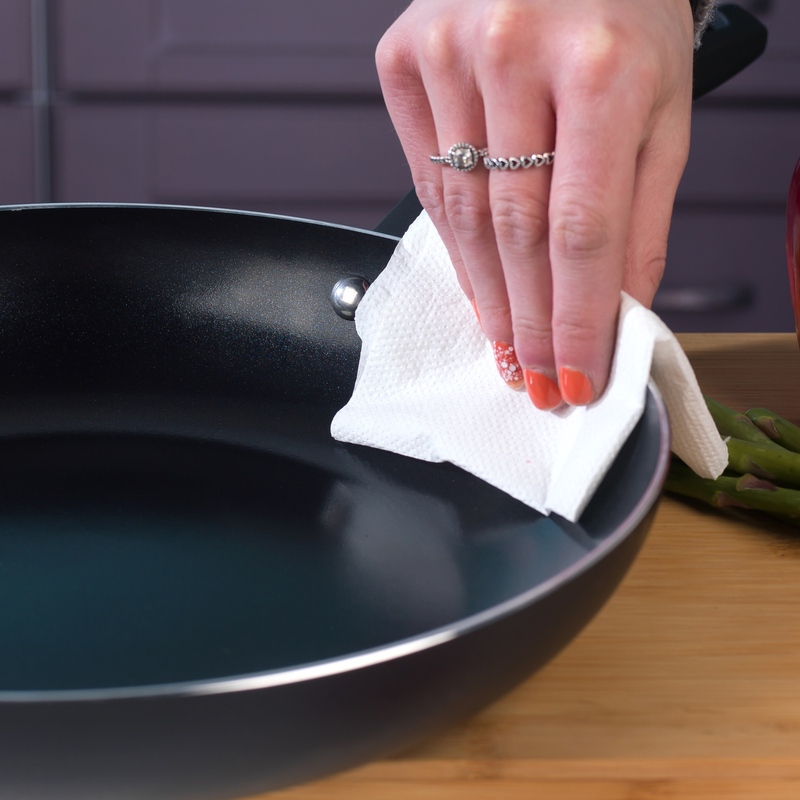 Perfect for any home cook, this wonderful Beldray frying pan has a non-stick ceramic coating to make cooking and cleaning simple. Suitable for all hob types including induction, the pan measures 28 cm so you will have plenty of space for family portions. Featuring superb soft-touch handles for a comfortable grip this pan is incredibly easy to lift and carry around the kitchen. 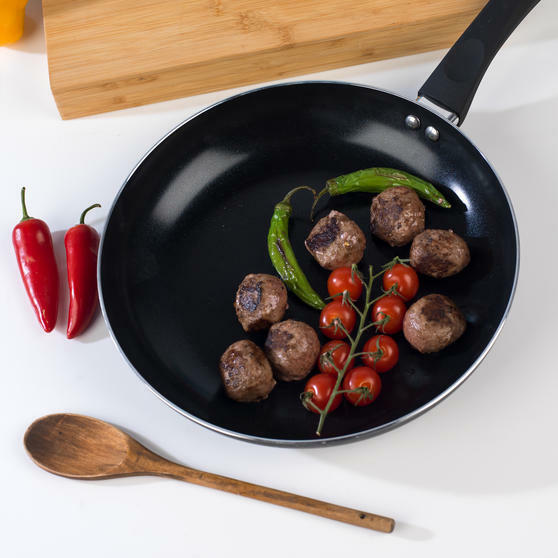 The black exterior of the pan looks sleek and stylish fitting in perfectly in any kitchen it is ideal for making meat, fish and veg. 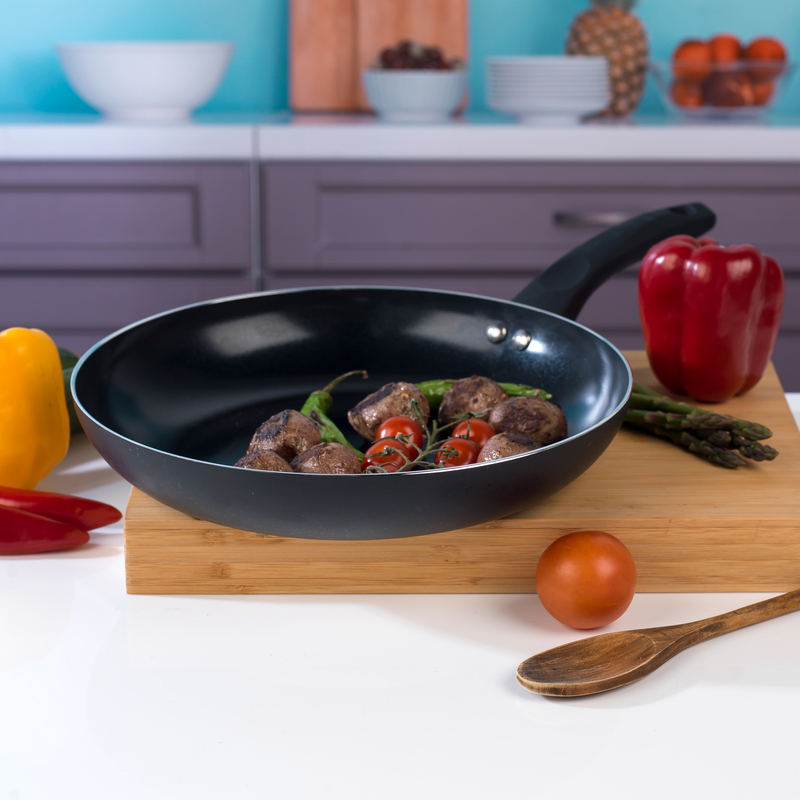 Ideal for everyday use, the non-stick coating allows you to cook with less oil for more healthy delicious tasting meals.